Today, I am going to review a product that is first ever in India. 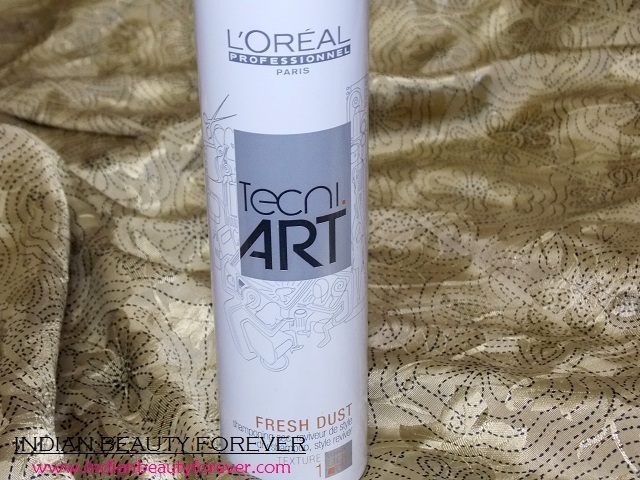 Earlier, we didn’t have a dry shampoo in India but some time ago, L’Oreal Professionnel launched their Techni art Fresh Dust Dry shampoo in India, filling the void that we had when it comes to dry shampoos. I have always been intrigued to use a dry shampoo, but sadly, we didn’t have any option but now we have in the form of this Dry shampoo. The dry shampoo comes in a body spray sought of packaging. It’s a tall bottle with a spray pump at the top. It feels exactly like a deo spray while you are using it with a mild and pleasant fragrance. Using this is pretty easy. You need to hold the bottle 6 inches away and spray directly over the hair roots and some on the hair strands just like you do with the hair sprays. Now, before telling you what results it has fetched for me, I would share this piece of information here. My hair were normal with huge volume which was way too huge that I once wished and said, God, please reduce my hair. And guess what he heard this time. Sigh! So, now, I have less than half the volume that I used to have and on top of that my scalp has become oily. Again sigh! All I want now, is some volume which I am able to get on the first day I shampoo but on the second day itself my hair starts to get flat. This is the day when I wish that I should have some volume, even without washing my hair. So, here this product comes into the picture. I had my hair tied in a bun all day. Which is why you see one side of my hair curled. But I didn’t curled my hair, in that picture that you see. I sprayed this dry shampoo over the hair roots and on the hair, massaging, combed and done! It has shown some good results in lifting up the roots. My hair were slightly sticking together as they were in a bun, so I noticed they were separated and not stuck together. 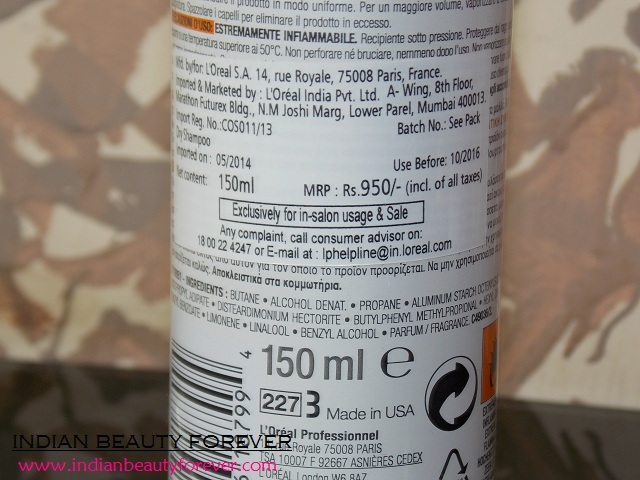 The effects lasted for around 5-6 hours for me, after which my hair started getting flatter at the roots. This actually depends how oily your scalp is. It can be reused as per that. Have used it 4-5 times and there was no itching or allergy. You can see this was the same day, I took picture for the My envy box. The pictures were not planned but I really liked the way it has made my hair look. It is slightly expensive but as of now, we don’t have any other reference point for the comparison therefore, I will overlook that as something that could instantly lift up the hair can be an extremely important product for someone with oily hair, who likes to keep her hair oil free, with some volume and body. Just one suggestion here. Once you have used this, then comb gently. Don’t press the comb/hairbrush too much on the scalp as it will lead to more oil secretion by the scalp. Brush your hair with a light hand!! Take: If your oily, sticky, lifeless hair on the second day of hair wash, or after the gym bothering you then L'Oreal Professionnnel Dry shampoo is perfect for you. It absorbs excess oils, makes the hair roots clean and free of oils. Hair looks voluminous and fresh. It can be handy when your running late for a party, meeting or a gathering but don’t have the time for a wash.
Yeah, the price. :P but I find it good. 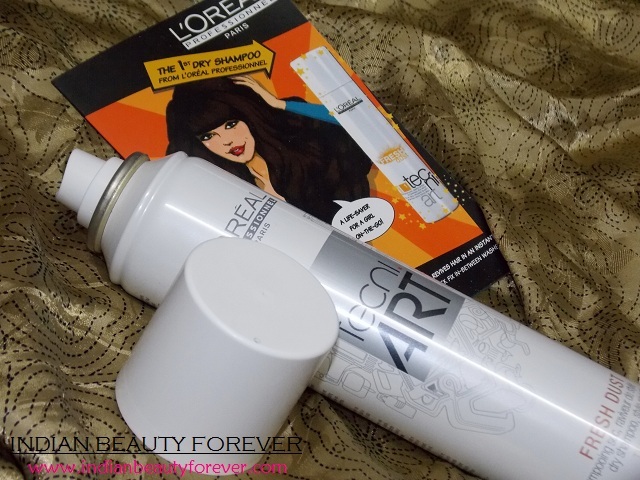 I really wanted a dry shampoo since its practically impossible to wash my long hair everyday. This one looks perfect ! would like to try it ! 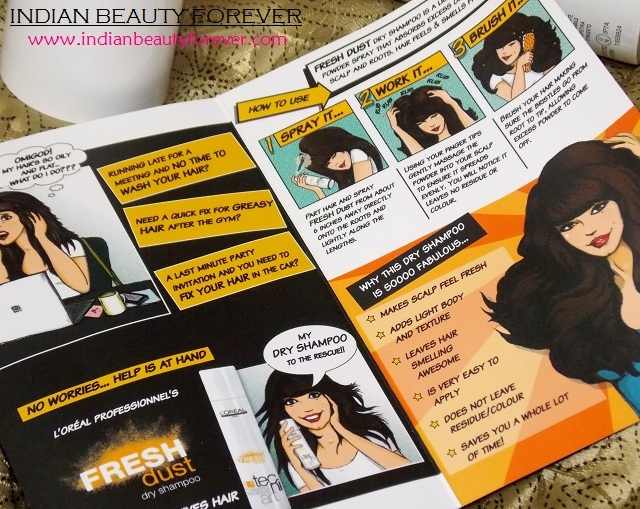 I've tried a lot of dry shampoos with various results....but this one sounds fab! 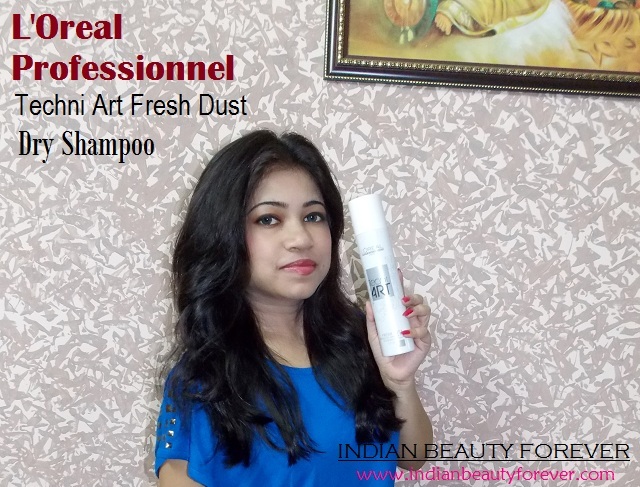 Niesha me also using dry shampoo of timotie brand.. I loved it ..These dry shampoos r amazing . haha. so true. :) it would be. 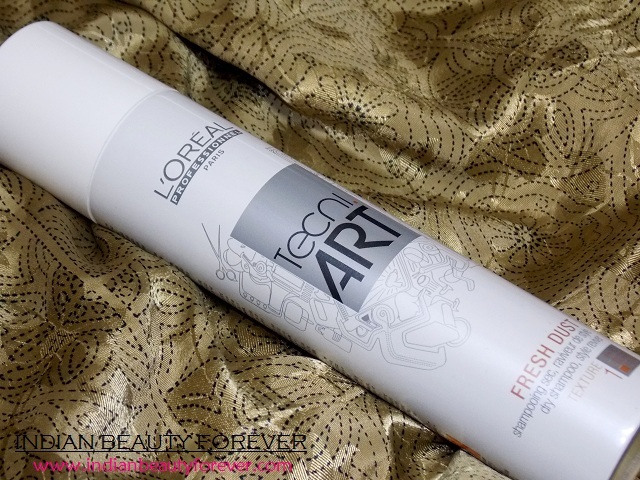 Finally a nice dry shampoo, thanks for the review. Did you experience any hair fall after using this Niesha. ? seems like a miracle product for busy days..
No Harine! Not yet and I really hope that shouldn't never happen. really! I am glad dear. Nice review Niesha, you must be the first person telling god to reduce your hair :)) I can see you are blessed with good hair. haha. :) Yes, becoz they were so huge but wasn't aware that I ma taking them for granted.